"Actually all your teeth gaps are closed already." I replied "So you mean i can take off my braces now?" He said "Yes u can already." I asked, "HUH TODAY? Or when i get the retainer?" I swear guys... i was SUPER EXCITED at that moment. I kept smiling and giggling LOL. So he took off the ceramic from my teeth, polished them and DA TAH!!!! BRACES ARE OFFICIALLY REMOVED!!!!! I had no idea i would be removing my braces that day. I will say again... I AM SUPER HAPPY! OVERJOYED! I took a few breaths, waited for awhile and went to the toilet to check out my new teeth. *open my mouth & look into the mirror* "OMG! THEY ARE SO STRAIGHT!!!!! 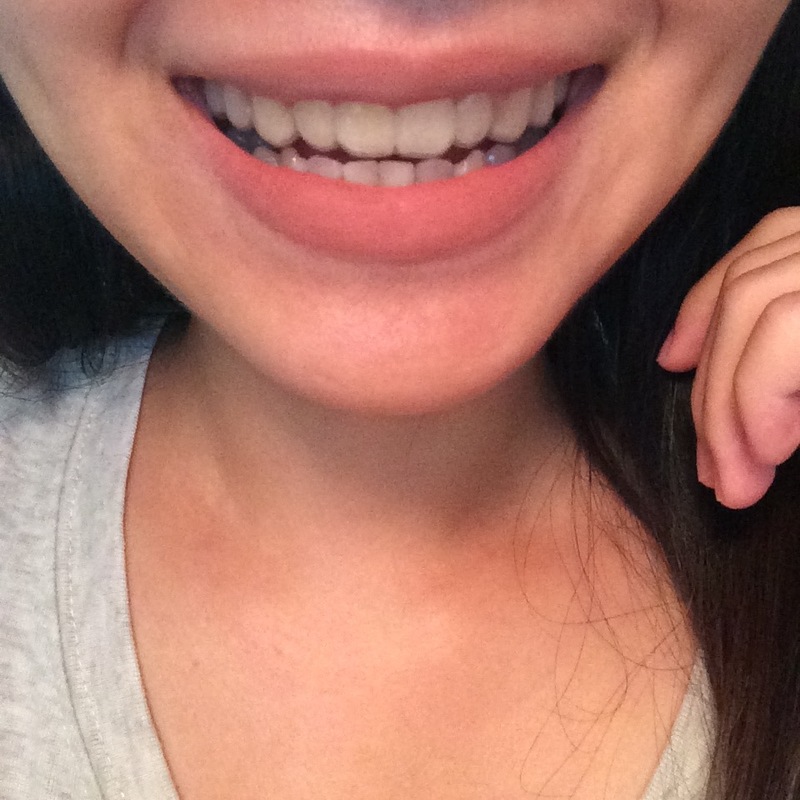 I DIDN'T KNOW MY TEETH CAN BE SO STRAIGHT! WOW!" I can finally smile and laugh confidently. Before braces, i couldn't smile that confidently because of the weird angles of my front tooth. 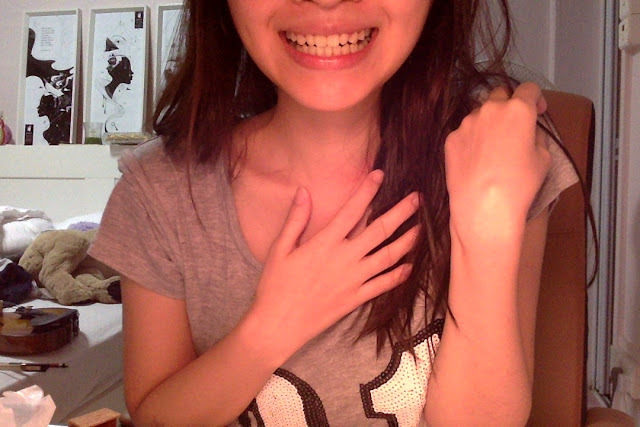 During braces, i didn't smile (tried to prevent from laughing and smiling) because i didn't want to show my braces-teeth. After braces, yeap, I CAN SMILE! I CAN LAUGH! HOORAY! ITS AWESOME! A typical scene at Dr Wee's room. LADIES AND GENTLEMEN, WELCOME MY NEW TEETH!!! Had my retainer on in this picture so it looks a little blurry. THEY ARE SOOOOOOOOO STRAIGHT! AHH! I had two baby canines on the top which did not drop out. 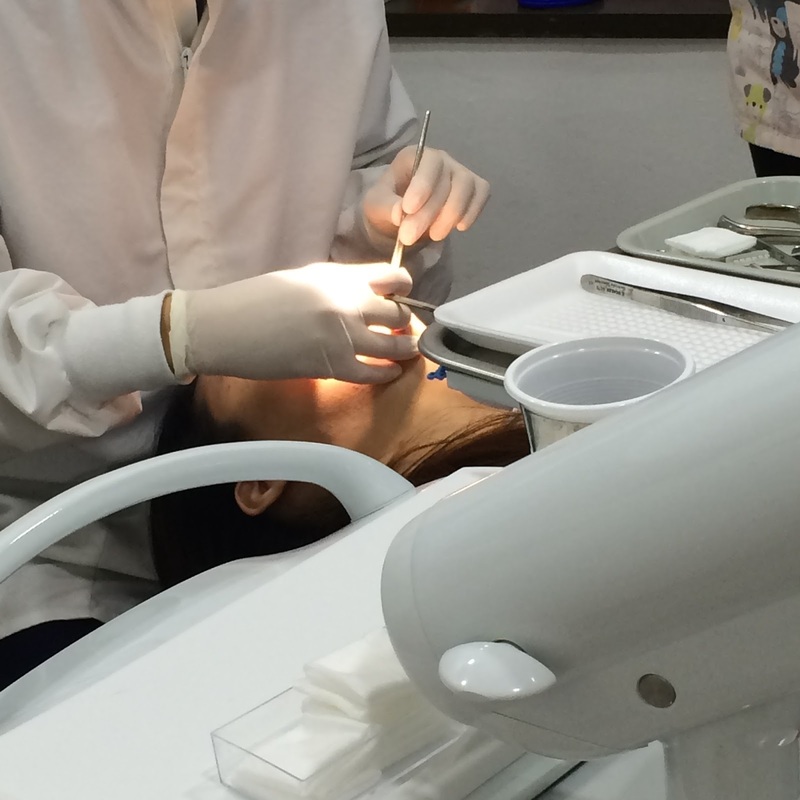 Before braces, those two were extracted. Thus, u can see (from the first picture) that my top canines look much smaller than the rest of the teeth. This makes my teeth look 'unbalance'. I only HAD MY TOP SET OF TEETH GET TREATED WITH BRACES. 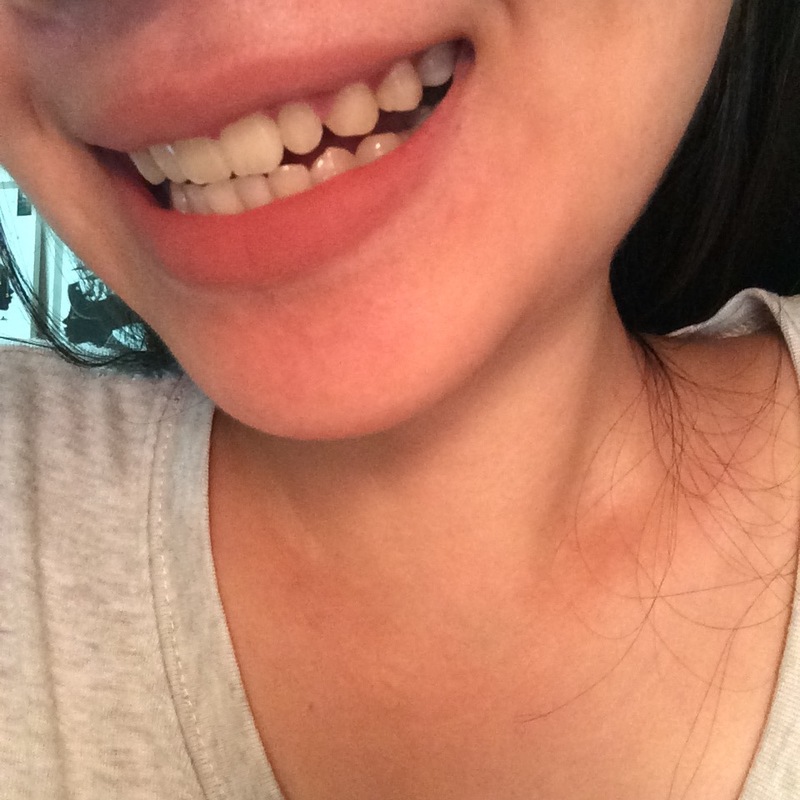 I had my bottom set of teeth completely free from braces. 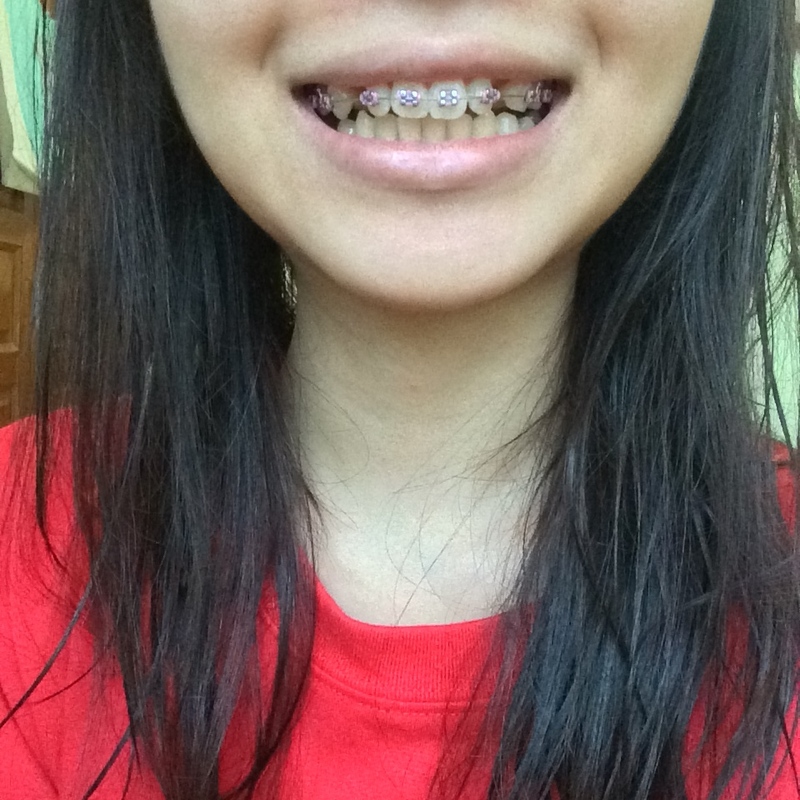 Yes half braces can be done. For further info on the price, u can check the rest of the parts on my braces journey linked under 'Labels'. So when u view my pictures, u should only focus on the top part as those are the ones who were treated. Of course, if you look at the overall (top and bottom) they are PERFECTLY aligned. Because my bottom set were not treated. Maybe i will get them treated a few years later, that's another story. My teeth are quite complicated, as explained previously before. So guys! 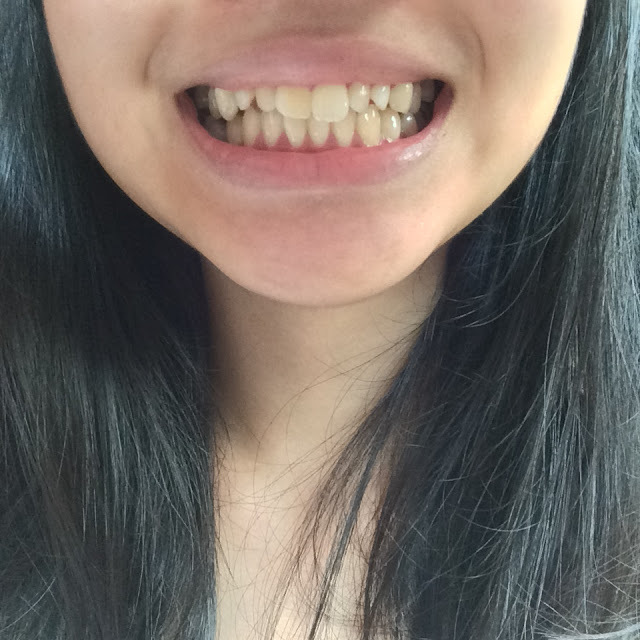 I AM OFFICIALLY DONE WITH BRACES! During those times when i had braces on, i kept asking myself if that was a wrong decision but now for all those reasons that i gave myself to regret, i am 'deleting' them all away. BRACES IS JUST AWESOME. You suffer for around 2 years and u get a LIFE TIME of beautiful smile. But there is a price to pay. 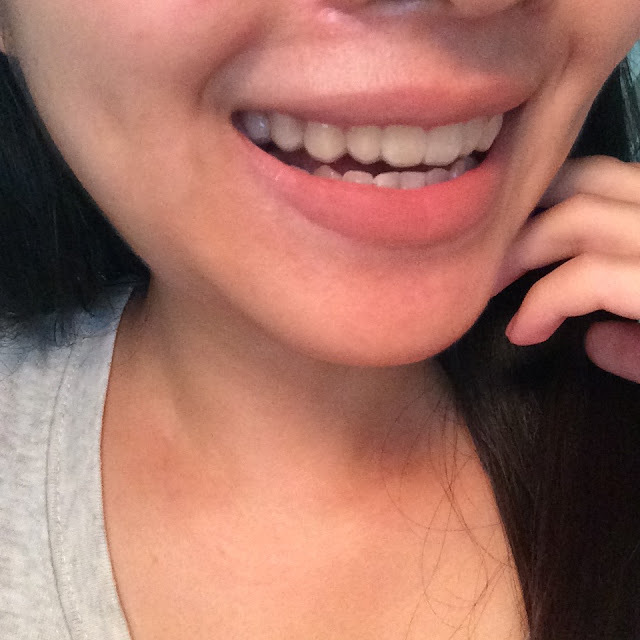 Other than wearing braces & looking ugly for the time being, U NEED TO WEAR RETAINER FOREVER. Has anyone mentioned this to you before???? Yes u need to wear retainer EVERY NIGHT before u sleep, F O R E V E R. If u stop wearing retainer, your teeth will start to move around & be messy again. So before wearing braces, u should consider about this lifetime commitment. I have read a ton of braces treatment journey and surprisingly no one ever mention about this. So here is my 15 months of dedication to go for treatment every month. Worth it. Paid off. Lastly, i just wanna quickly share about little trick to expedite your braces process. In a calendar month, sometimes u get to go for treatment TWICE a month instead of once a month. U can go back for treatment after 21 days, that is 3 weeks. So instead of waiting extra one week for the month to end, i go back exactly after 21 days. The tightness for me usually wears off after 7 days. So just go for your treatment EVERY 21 DAYS and your braces will be finished faster! About the colour of the bands... some people love to choose different colour every month. For me, i choose pink, EVERY SINGLE TIME (only had blue for once). I don't need to choose what color to wear next treatment, Dr Wee knows i am going to choose Pink HAHA. Pink is the best to cover up stain. I only wore pink so that's all i can say about it. No fancy schmancy color for me. I'm not into that. Alright, i think i am done with this last final post about my braces. I will miss you. Good bye my braces chapter. I am ready to start a new one. P/S: Must start learning to smile showing my teeth when taking picture now. I had master the art of not showing teeth when smiling throughout this 15 months. That is why you don't see my teeth on my instagram pictures. Almost forgotten how to smile brightly ... but now i am back. yeah! Hi, can i ask if your 2 front teeth were like bunny teeth and bigger size before putting braces? 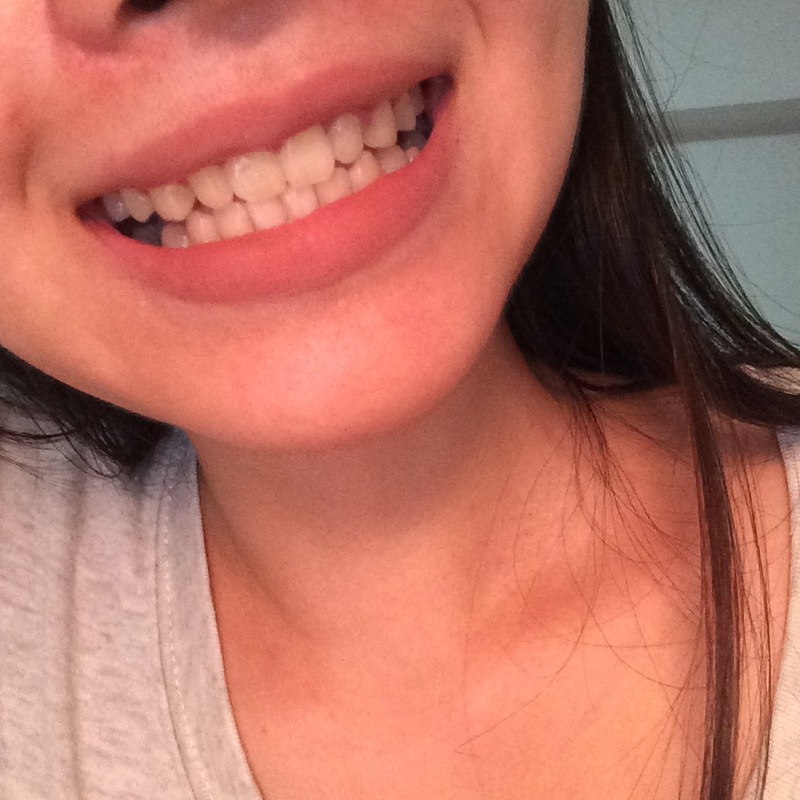 Because im considering braces but dont know if it will correct/align my bunny teeth.